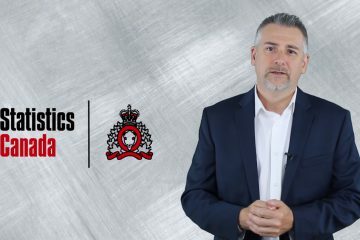 In this video Rod Giltaca, President of the Canadian Coalition for Firearm Rights, discusses the number of firearms owned by legal gun owners in Canada. 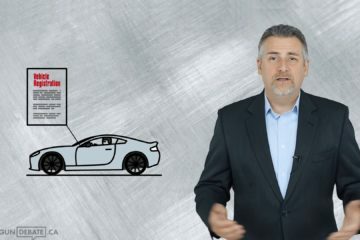 He reviews the requirements and process one goes through to become licensed to own firearms, and describes in detail the extreme vetting process involved in doing so. This estimate comes from a large number of various sources in previous years. The last number from the full gun registry before it was destroyed was about 7.5 million registered guns. Some estimates for non-compliance of the registry were placed as high as 50%. There have also been estimates based on historical import records that factor into our estimate. 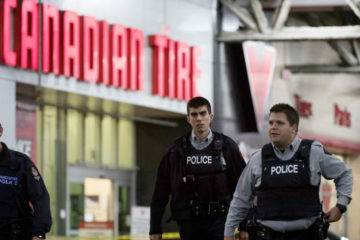 Allister Muir, a spokesman for the Canadian Unlicensed Firearms Owners Association, estimated in 2012 that there are between 14 and 21 million guns in Canada, registered or otherwise. The 2015 Commissioner of Firearms Report lists the number of individual licensed gun owners in Canada at 2,026,011 individuals. The number 2.1 million quoted in the video is a projection based on a continuation of the historical increase since the last published data at the end of 2015. 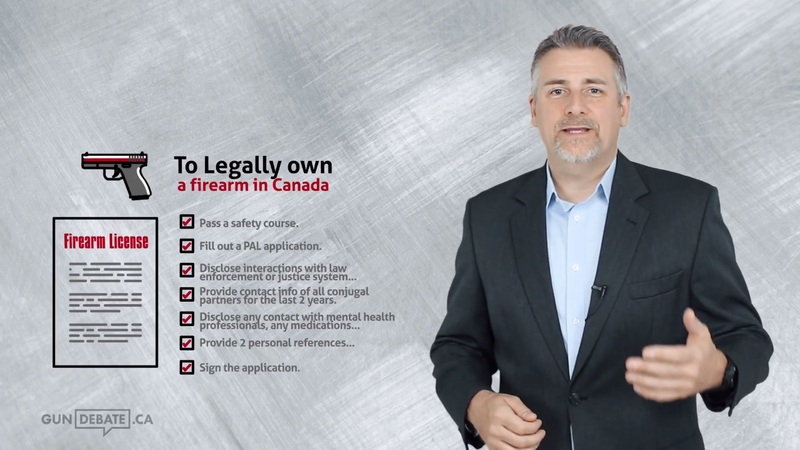 It’s important to note that an additional requirement not mentioned specifically in this video is mandatory participation in the Canadian Firearms Safety Course and associated testing. The content of this course is controlled and approved by the Royal Canadian Mounted Police Canadian Firearms Program and was developed to meet the mandatory requirements of section 7 of the Firearms Act.To be eligible to apply for a Possession and Acquisition Licence, classroom participation in the full CFSC is mandatory for first-time licence applicants. Once the course is completed, individuals then must pass the tests. safe storage, display, transportation and handling of firearms. A 5 year personal history must be provided by all applicants. The personal history includes all information pertaining to criminal charges and convictions, peace bonds and protection orders, history of suicidal tendencies, depression, substance and alcohol abuse, behavioral problems, emotional problems, reports to police or social services about the applicant regarding violence or threats of violence or domestic conflicts. An applicant is also required to declare any divorce, separation, breakdown of a relationship, job loss, or bankruptcy. All applicants must also provide contact information for any spouse or common-law partner and every conjugal partner in the previous 2 years. In addition to the above requirements, 2 personal references must be provided to be interviewed by the RCMP as part of the background check. Non-Residents and New Canadian Residents of less than 5 years must obtain a letter of good conduct issued by the local or state police of their current or previous country of residence. Continuous-eligibility screening is one of the most innovative features of the CFP. Rather than just doing background checks at the time of licensing and renewal (as was done under previous legislation), the CFRS is dynamic and continuously updated as new information comes to the attention of the police and courts concerning the behaviour of licence holders. All current holders of firearms licences, POL (Possession Only) and PAL (Possession and Acquisition of further firearms), are recorded in the Canadian Firearms Information System (CFIS). CFIS automatically checks with the Canadian Police Information Centre (CPIC) every day to determine whether a licence holder has been the subject of an incident report in CPIC. All matches generate a report entitled Firearms Interest Police (FIP) that is automatically forwarded to the CFO in the relevant province for follow-up. 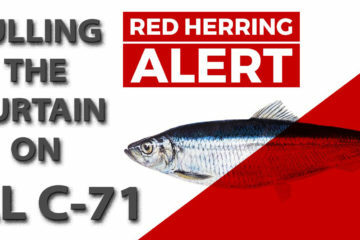 Some of these reports require no further action, but others may lead to review of the individual’s licence and may result in its revocation. . Continuous-eligibility screening reduces the likelihood that an individual who has shown they are a risk to public safety will be permitted to retain possession of firearms.